This thing about cooking mutton during weekends? I really can't compute why only during weekends. Maybe from back then? During my growing up years and mutton can only come into our food picture during weekends? I think so. Back then, for a poor family like mine, in fact, mutton dish is only once a month. Basically because mum had to stretch her dollars and cents. Mutton not affordable for us. Maybe that's why its like an automatic tuning till this day that I too decide on mutton dish for weekends. Potentially and possibly. On this particular weekend, I couldn't think of none except a thick, spicy and really bang-on Mutton Bone Marrow Curry (Mutton Parathal, Indian Mutton Meatball Curry, Mutton Soup & Mutton Kurma). Not really very much different within the context of ingredients as in for the rest of the mutton dishes I have cooked before (Dalcha, Mutton Keema, Pepper Mutton Curry & Mutton Varuval). Then again, what can be potentially different for an Indian mutton curry or even lamb curry (Lamb Rogan Josh & Lamb Kofta Curry) regardless where it originates from. Am I wrong? I don't think so. We just vary the spices and ingredients to our taste or for fitting mutton as another Indian dish style (Mutton Pepper Masala & Easy Mutton Curry)? 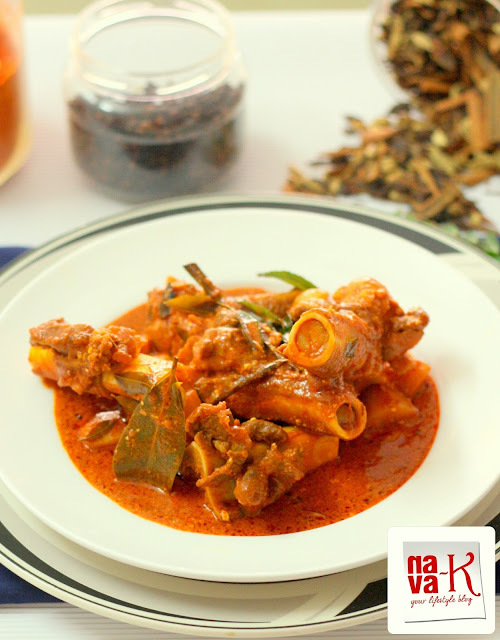 Mutton Bone Marrow Curry? Wouldn't you agree is an absolute winning temptation? Just so inviting and packing major punches of Indian quintessential bold tastes? Pressure cook bones with enough water. Heat oil and when heated, sauté spices. Add ginger paste, garlic paste, shallot paste and chilli-turmeric paste. Put in potatoes and curry leaves. Pour about 1 cup of water. Stir and simmer to cook potatoes. Add bones, stir and simmer for another 2 to 3 minutes. Off the heat and gently combine in yogurt and coriander leaves. Cover with a lid and let it sit for about 1/2 hour (longer better, hehehe!!) so that curry is fully absorbed into the bones). It's so hard to get mutton over here but I'd love to try this. it maybe sinful, but its worth it! Never cooked marrow before but certainly had my fair portion or eating them! Haha...the knocking style...I do it when there's not many people at the restaurant. By the time I am halfway, I actually see or hear people at other tables doing it too. LOL. Delicious, one of my favourites! I've never used potatoes & yoghurt with it before though, must try it. Curry looks very nice and delicious. Healthy too! Nava, I haven't seen anyone eating bone marrow mutton with a straw. I have not cooked bone marrow but when ever I make mutton I use pressure cooker. Our security aid from Rajasthan always mixed turmeric and chilli powder in water before adding it to the dish, I never asked him the reason but I am sure it was for that eye catching color of the dish. love bone marrow curry. yours look delicious. thanks for visiting my space and leaving such a lovely comment. I am your new follower. The curry looks so spicy and delish Nava! Have never cooked with marrow before. 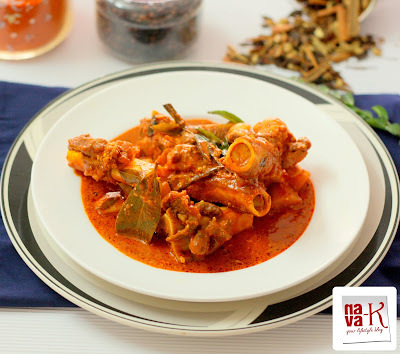 Looks so yummy and spicy Nava!! Thanx for stopping by my space!! Gorgeous! Never thought bone marrow could look so good! Delicious. Though stopped eating mutton but I am drooling after seeing the pics. Hi Nava! Thanks for your comment on my blog :) Nice blog wow! 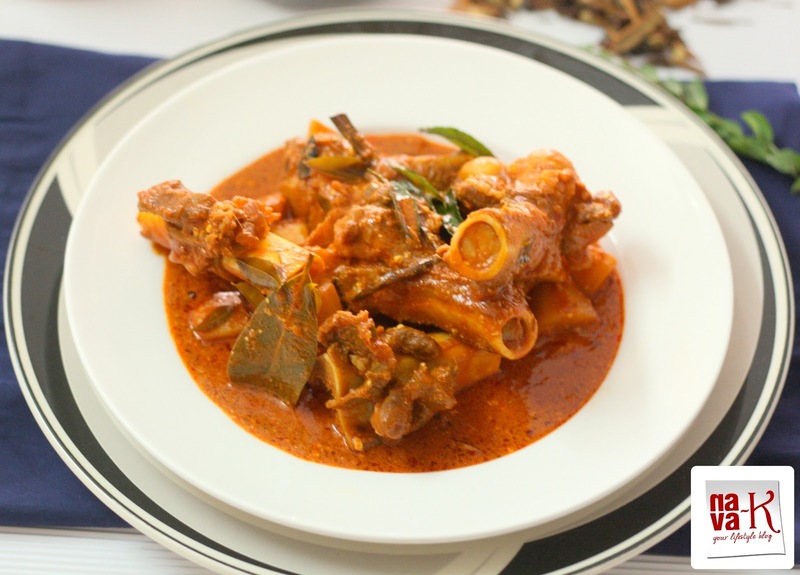 Mutton Bone Marrow Curry sounds so delicious and amazing!! A great demand for marrow at my place, my daughter loves this so madly that she will grab all of this when cooked. Luv the spices, I have never tried making marrow alone. Looks so tempting. First time here and following you now. Looks super delicious and yummy! !